Howler is an indie rock band from Minneapolis, Minnesota. The group consists of Jordan Gatesmith on lead guitar and vocals, Brent Mayes on drums, Ian Nygaard on guitar, Max Petrek on keyboard, and France Camp (real name Jay Simonson) on bass. Howler has received international acclaim, most notably from NME, which named Howler their #3 Best New Band of 2011 and included Jordan Gatesmith in their list of the 50 Coolest People of 2011. Nineteen year-old Jordan Gatesmith began Howler out of boredom in 2010 with former member Daniel Hupp. Before Howler, he had created other bands without much success. "I was starting bands what seemed like every other week," explained Gatesmith. "We had a metal band for a while. We had one called Gay Animals, another called A-Cups, but none of them really lasted that long". Gatesmith met keyboardist Max Petrek while visiting a Planned Parenthood clinic with their girlfriends. Each noticed the other tapping their feet to a 1950s song. Having similar tastes in music, Gatesmith and Petrek started playing together. Ian Nygaard was already the guitarist of Nice Purse when Gatesmith included him in the band. Both Howler and Nice Purse were on the same record label, SO-TM. Drummer Brent Mayes knew Gatesmith from high school, although Mayes is four years older than Gatesmith, and is thus the oldest member of the band. Howler's first public performance was at the farmers market where they found financial success. In an interview with Minnesota Public Radio, Gatesmith explained, "People thought the lyrics were really funny and they thought that we were being cute and kind of snide all at the same time. They're like, 'Well that's interesting.' "
Howler released its first EP This One's Different in the United States on February 14, 2011. In April 2011 freelance writer Jon Garret watched Howler perform at their release show. While he believed the band was not musically mature yet, Garret thought Howler had potential. He especially saw something special in Gatesmith: "And I guess what really drew me to them was Jordan just really had this phenomenal stage presence that I don't see very often, especially in younger bands." Garret sent Howler's EP to London-based record label Rough Trade Records without the band's knowledge. The label was impressed with the band and signed Howler to a record deal in summer 2011. The band then supported The Vaccines on their U.K tour. This One's Different was released in the United Kingdom on August 2, 2011 and received favorable reviews--NME in particular. Emily Mackay writes that while Howler is not different from other bands, it does "make commonplace components fly with a brilliant nonchalance". NME named Howler their #3 Best New Band of 2011. In addition, Gatesmith #44 on NME's list of the 50 Coolest People of 2011. 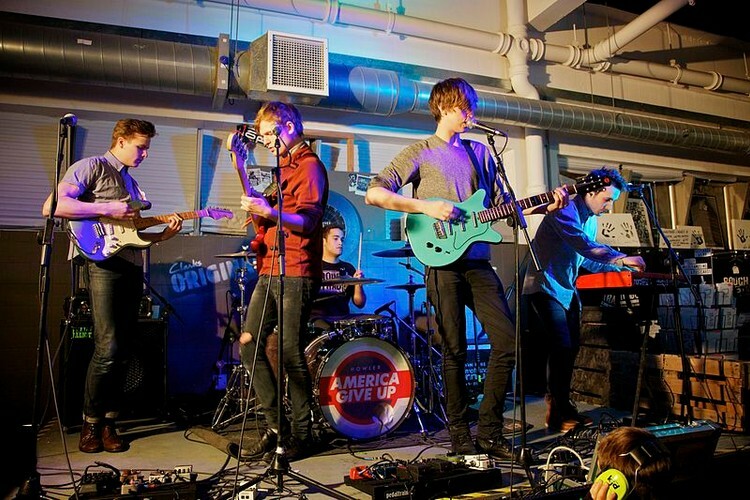 Howler's debut album America Give Up was released in January 2012. The band recently released the first track from their album "Back of Your Neck" for digital download off their website. Howler later released a music video for the song. Howler is currently on tour. The following countries are on their schedule United States, the UK, Europe, Brazil and Japan. In a recent interview with Paste Magazine, Gatesmith announced Howler's plans for a second album, which will be inspired by 1960s pop: “I’d say it’s more like the Yardbirds, even a bit psychedelic," said Gatesmith. "I’m really into The Rolling Stones’ more psychedelic records like Between the Buttons, Aftermath, Their Satanic Majesties Request. And also a lot of early ‘60s crooners kind of like Dion [DiMucci] and Del Shannon just for pop sensibilities." Gatesmith hopes to release the second album by March 2013.